8 Weeks. 1 Life-Changing Opportunity. Our next 8 - week challenge starts Saturday 27th April 2019!! Developed by Fitness Guru Martin Rooney, this results-focussed program not only transforms people physically, but it also makes a positive impact on other aspects of their life. For a limited time we are offering no-obligation, free 1-to-1 Back to Fitness Consultations with a TFW trainer. Secure your session before we get fully booked by clicking on the "Request Information" button below and entering "FREE-1-2-1" in the message box. One of our friendly TFW team of will get back to you to arrange a time. Our passionate team of coaches know how to get you started and will support you every step of the way. You'll be in good hands. Call us today and sign up for one of the strictly-limited 20 places we have for the forthcoming 8-Week program. There has never been a better time to get yourself on the road to a better, happier you. We love helping people feel better and get stronger. 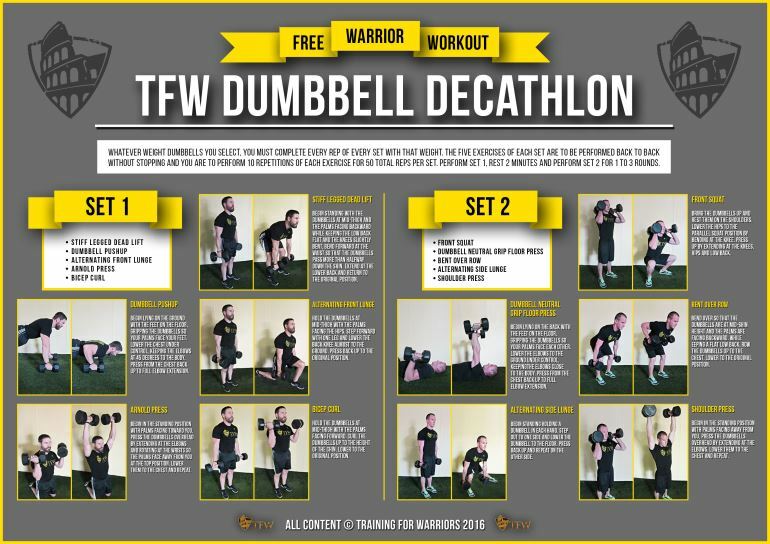 Download the TFW Dumbbell Decathalon for FREE! Develop a strong, healthy and slimmer core. Download the TFW 6 Exercise Cooldown for FREE!